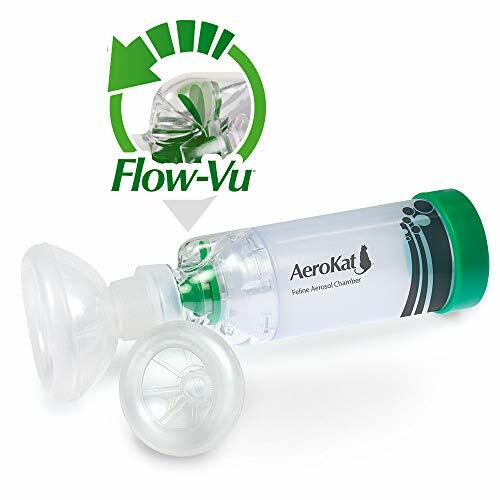 FELINE AEROSOL CHAMBER IS APPROVED BY VETERINARIAN Inhaler Spacer is used to help deliver medication to cats suffering from respiratory conditions such as Asthma, Chronic bronchitis, Allergic rhinitis. 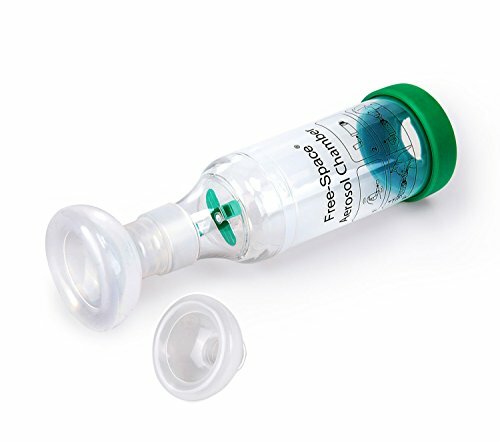 BREATHING INDICATOR We Design flow indicator that allows you to see exactly how much medication your cat is getting, which means they will receive the exact amount of medication every time it's used. FIT ALL CATS 3 different sized silicon masks. You can select the mask that fits best for your cat. FUSS-FREE MEDICINE DELIVERY SYSTEM - Anyone who has a pet knows how difficult it can be trying to distribute medicine to a cat or dog . Usually it's a battle to get them to take their medication. 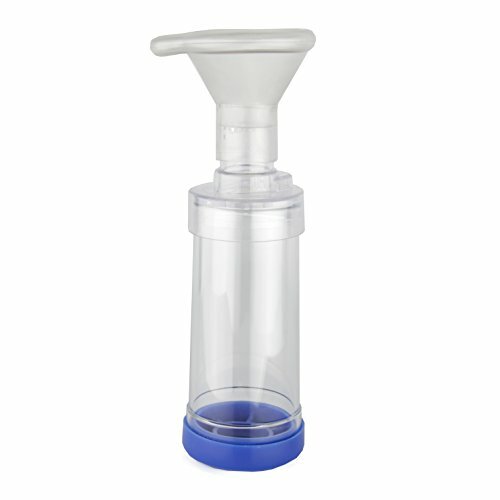 The Brite Aisle inhaler spacer aerochamber has an assortment of masks that comfortably nestle around the mouth and snout of your pet and gently delivers the asthma medication . This usually is significantly more enjoyable for your furry friend than swallowing pills or enduring shots. 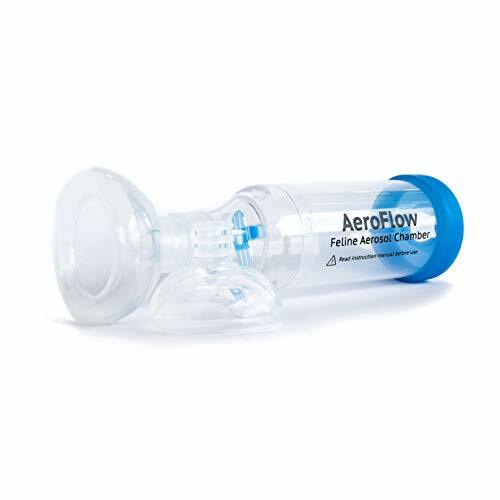 INCREDIBLY ACCURATE AND HIGHLY FUNCTIONAL : Our aerosol chambers controls the amount of asthma medication dispensed through the metered-dose inhaler , so you can be vigilant at measuring proper doses with virtually no chance of error . 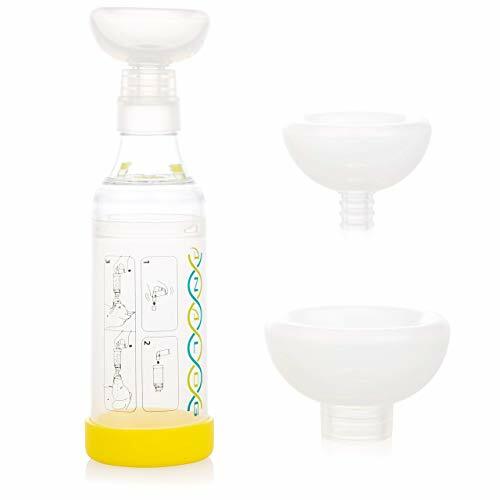 This asthma medicine inhaling kit features an ultra-sensitive, low-resistance valve that acts as a low indicator, so you can know exactly how much medicine to distribute at any given time. 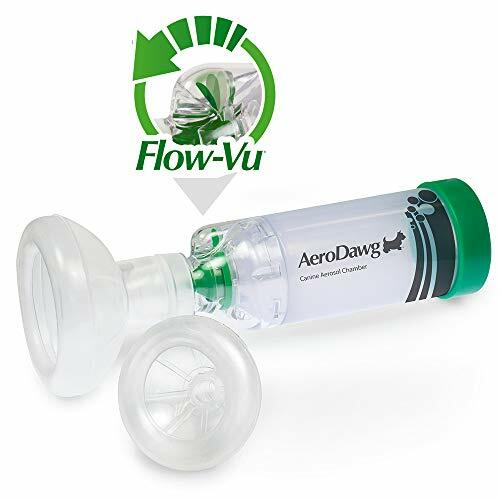 A SAFER, MORE EFFICIENT METHOD: Designed with premium, high quality silicone and polyethylene , our feline and canine asthma inhalers safely deliver vapor medication to the lungs - a superior approach to steroid inhalation, injection, or oral medication. 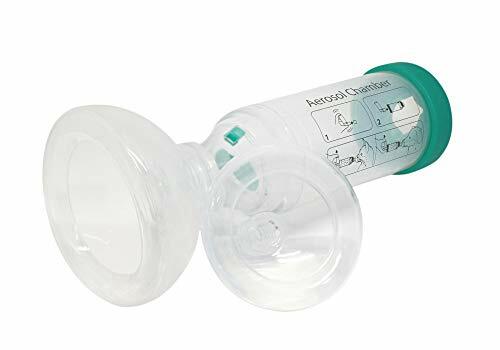 Because the aerosol chamber inhalation device delivers the prescription directly to infected area, using our cat inhaler spacer requires lower doses of the medicine, which resulting in less harmful side-effects than injections or oral remedies . 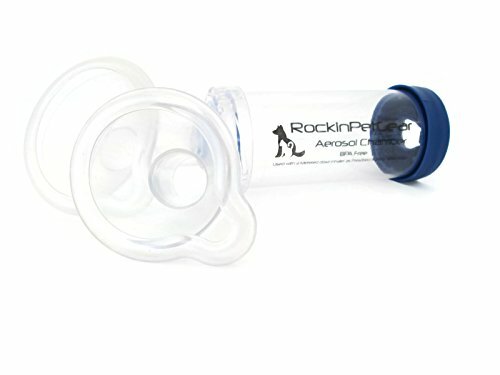 ✔️DESIGNED SPECIFICALLY FOR CATS and DOGS suffering from ASTHMA, BRONCHITIS, ALLERGIES and BREATHING DIFFICULTIES such as wheezing, labored breathing or persistent cough. The product has been designed with low resistance inhalation and exhalation valves to ensure your pet can breathe medication in and out easily with comfort and ease. It comes with instruction manual for operation of use, as well as cleaning instructions. ✔️ Manufacturing and delivering high quality products to clients, especially to pet lovers, is our number one priority. Your pet deserves the best attention, so order now with confidence to ensure the most effective, comfortable, and secure way for delivery of medicine.